The F-350 has surprisingly snappy turn-in, which helps out around town, but there's no escaping its sheer size and weight. Hard-edge bumps can upset the chassis, particularly midcorner. The F-350's transmission upshifts quickly and smoothly. Powertrain response lags slightly, but that's to be expected from a large turbodiesel powerplant. When empty, downshifts happen smoothly and quickly as well. If there's any serious tow weight, the tow-haul mode keeps excessive shifts under control. Long trips are welcomed in the Super Duty thanks to its quiet cabin and plush leather interior. Interior noise is well-muted, with just the thrum of the Power Stroke engine to be heard. Once you make the climb up into the cab, you don't want to come back down. The F-350's leather seats feature memory function and power adjustability for both front seats. The seat massagers spoil the driver and passenger, and they add to the seats' natural plushness. The three-zone lumbar adjustability allows for fine-tuning. But the rear middle seat is stiff and narrow. The F-350 Super Duty's comfort when unladen is just about the same as when it's loaded down. This jack-of-all-trades is an easy road-trip companion, with only the slightest judder from hard-edge concrete slabs and potholes intruding into the cabin. At idle you can easily hear the clackity-clack of the diesel engine, and as you accelerate, you can faintly hear the intake whoosh letting you know the engine's taking care of business. Once up to speed, the powertrain noise settles down to a calm roar. Wind and road noise is well-damped. The F-350 offers a maximum conventional tow capacity of 21,000 pounds or up to 32,000 pounds with a gooseneck hitch. The F-350 can be programmed to remember certain trailers to call up brake gain and blind-spot settings. The power-extending side mirrors aid visibility. 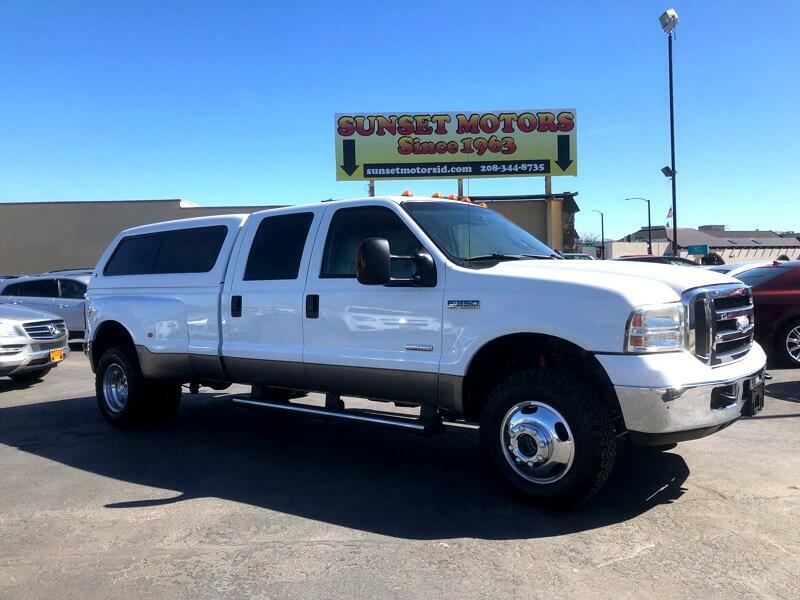 With a gross vehicle weight rating of 13,000 pounds to play with, the Super Duty can certainly transport whatever needs to be hauled.